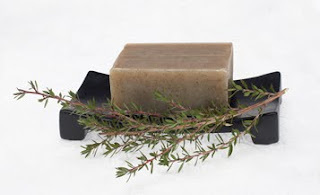 Can someone actually love a bar of soap the way that I love The Joy of Soap? I am a very clean person and I love to smell good. Occasionally when I'm walking threw the mall or a store I'll be passing by someone and they'll say: "Excuse me, may I ask what that scent is?" Or something similar to that. I love that because it's like added attention to me :). Well I can say, I have a strong feeling I am going to be busy answering that quite a lot more now that I am using The Joy of Soap. I think this is something I don't think any of you really knew, but, I used to be a HUGE animal activist. I wasn't one of those crazy people that take things way too far but I was against cruelty to animals, So I was always trying to buy vegan products that were never tested on animals. I am not buying vegan/cruelty free as much as I was, but I still do on a regular basis. Well..I know you know it's coming.. 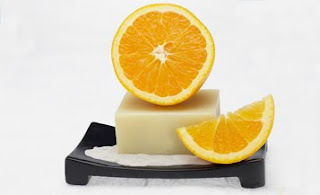 The Joy of Soap is Cruelty Free and Vegan! Yay! 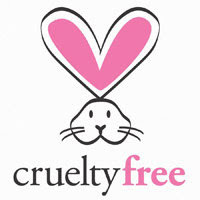 AND The Joy of Soap also has the Cruelty Free logo! That's right! NO animals were harmed in the making of the Joy of Soap! Each soap comes in a cute little cloth bag , which is good because the cloth bag can be used to help preserve your soap to make it last longer. When you finish using the soap place it back in the sack to dry it off, and keep it from getting nasty. Well for my review I received the Feeling Frisky, which has a very light, pleasing fruity scent. I washed my hands and could still smell that lingering scent, oooh! I loved it! I also received the Two in the Shower Tea Tree. The Tea and Tree also has a delightful smell, very light, but with a twist. It's that kind of soap that is really mysterious but mystique. And finally, I received the Manly Man bar of soap. Obviously I gave this bar to Aaron. For me, the Manly Man was too strong, I feel like if I used it I may get a headache, but Aaron loved it, he said he felt clean all day after using it. Men get more stinky, especially Aaron. Aaron gets really sweaty and stinky, while I on the other hand rarely sweat. So I am assuming if I had worked, and sweated all day then I too would get really stinky and would be refreshed by the long lasting Manly Man Soap. And on top of the already low prices I get to share this coupon code with you, so if you make a purchase before July 31st and use the code "1277398451" you will get an additional 15% off! 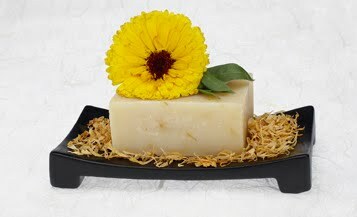 Mandatory entry: Visit The Joy of Soap and tell me which scent you would love to try most. I love peppermint so peppermint passion would be what I would buy! I would love to try the Peppermint Passion! I would have to say the peppermint flavor. I love peppermint also. I would go with Lay Me Down Lavender. I'd love to try Feeling Frisky. I love this giveaway, thank you! I'd love to try Lay Me Down Lavender, always is and always will be my favorite scent! I would like to try ginger snap. I entered the 100 dollar gift card giveaway. I would like to try Peppermint Passion. I like the lay me down lavendar & the peppermint. great smelling soaps. Follow your blog on GFC. Entered your Joey Jr. Purse Organizer Giveaway. I would like to try the "feeling frisky"! I would like to try Manly Man Soap. I'd like to try the ginger snap soap. I entered the $100 GC contest. I would most love to try the peppermint ~ :) Thanks! The Gingersnap Soap would have such a yummy scent! Feeling Frisky sounds like something I would like. I think the Feeling Frisky scent sounds great!